HUGE PRICE REDUCTION FROM $1,795,000 to $1,650,000! 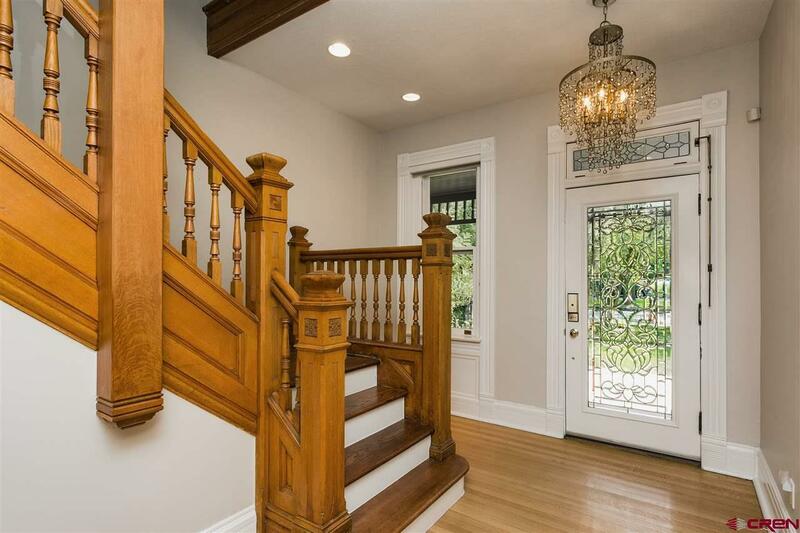 Newly updated and refined this exquisite Queen Anne on Historic 3rd Avenue is not to be missed. Circa 1887, known as the Perkins House; the residence is located within the old Historic Center of Durango. Please check out the 3D visual tour link for a video walkthrough! Sophisticated, Old World Victorian meets modern interiors and uses current smart home technology; offering an engaging contrasts to the buildings' brick, and stone exterior. Expansive window openings, not only frame downtown views, but capture the warmth of all day sun. A short stroll down Historic 3rd Avenue, offers quick and easy access to restaurants and shops underscores the convenience of the mountain living, and urban lifestyle. The Historic Perkins House was originally built in late 1892, and home to Margaret and Adair Wilson, an Attorney for Otto Mears, a State Senator back in 1886. 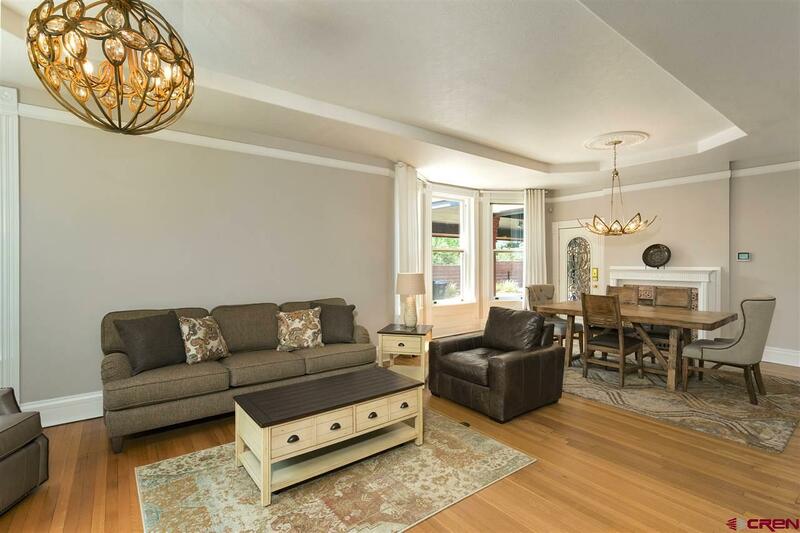 The inviting modern Victorian home offers a warm, natural palette with 6,206 square feet including 6 bedrooms, 5.5 bathrooms, and adjoining carriage house, with gated front entry and large carport sitting on 0.26-acre lot. MAIN RESIDENCE: From the covered front porch, and into the grand foyer, the gorgeous living room and formal dining room welcomes you. The space is light and bright and perfect for entertaining guests or enjoying quiet dinners with family and close friends. Across the hall is access to a den and office space, the spacious laundry room offers tons of storage for your linens. Continuing down the hall you will enter into the modern chefs kitchen with slab granite countertops, tile floors, top-of-the-line stainless steel appliances, a kitchen bar and kitchen dining area. There are two sets of stairs to access the second level, one is located off of the kitchen. The second story is home to the master suite with a parlor, two individual separate bathrooms, his and her bathrooms, and a spare room which is perfect as a fitness/yoga room or small study. Currently used as guest quarters, the upper level offers a sitting area and finished 3/4 bath and two bedrooms. Accessible from the side entryway from the large carport. The mudroom area features custom built-in storage to keep jackets and shoes and access to a large pantry area. A spacious media/family room fills the space formerly separating the main home from the Carriage House. CARRIAGE HOUSE: Converted to the guest wing, or with some minor additions and alterations (adding a kitchen and privacy door) it could be act as a 2nd home with access from the alley. The main level has a large room currently used as a family/playroom room and a private bedroom with an attached full bath. The second level of the original carriage house features two additional bedrooms that share a Jack-and-Jill bath. Additional upgrades to the estate include a brand-new boiler system installed in 2016, in-floor radiant heat in the main house, air conditioning with separate zones, a large wine cellar, and professionally maintained landscaping. 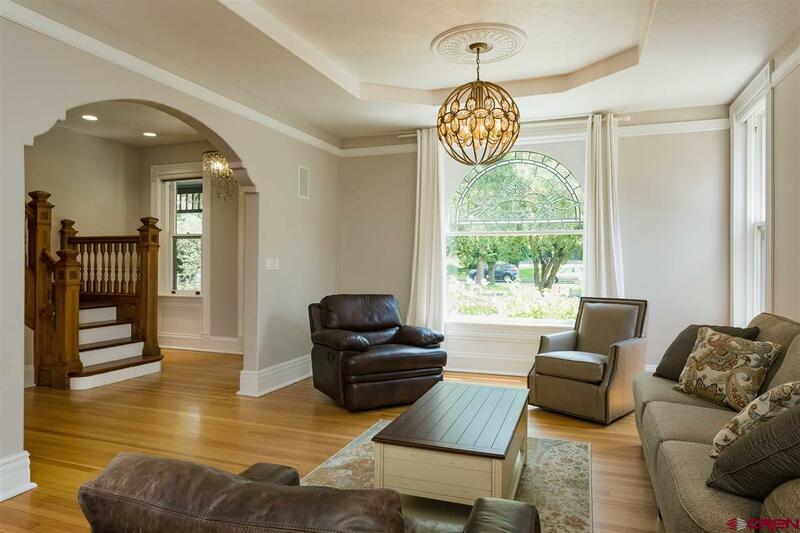 The current owner installed brand new carpets, modern light fixtures throughout, freshly painted the interior of the home, and installed a new $40K sewer line in 2017/2018. The home is a smart home with security cameras and music and thermostat controllable via mobile device. The residence is located in the heart of downtown Durango, allowing easy access to world class galleries, dining and shops. 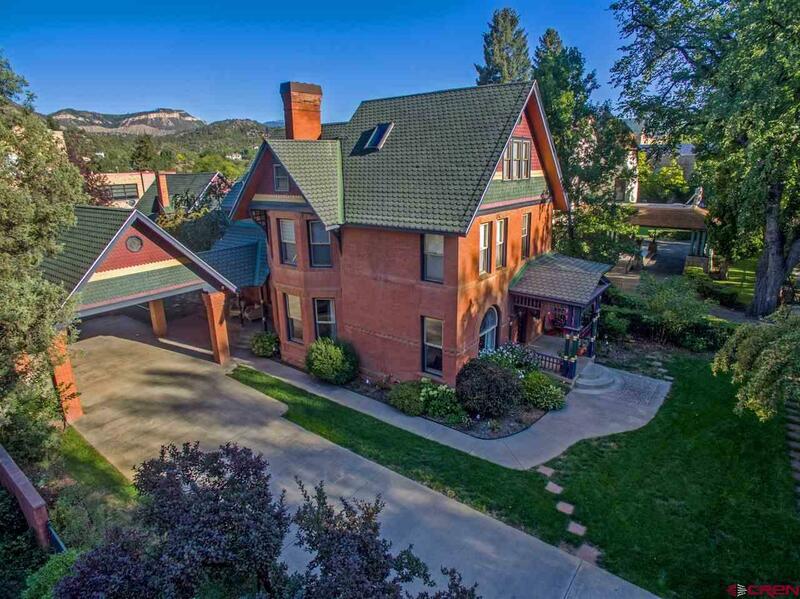 Additionally, the home enjoys nearby access to trail systems, parks, the Animas River and all outdoor recreation offered in beautiful Durango.